The Kuychi Runa Association was established in 2009 to support the sustainable development of the Andean population in the towns of Tinki and Ccoñamuro, Peru. The association promotes health, education, and nutritional and artistic programs to conserve the ancient heritage of the Andean Peoples. Kuychi Runa is committed to developing local infrastructures to overcome poverty and provide education and training to young women and children. Poverty rates are high in this area of Peru and households are not able to provide for basic human needs. Families are in need of nutrition, healthcare and shelter. Due to these factors, the Andean Peoples heritage is at risk. 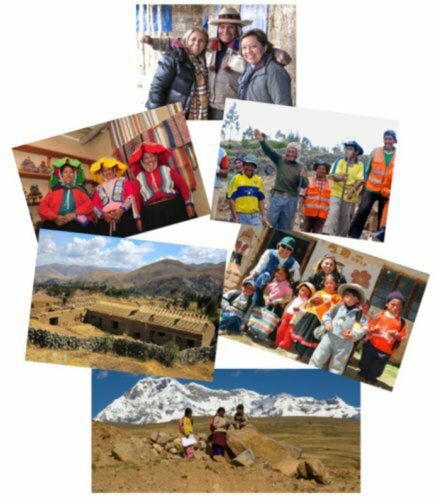 Kuychi Runa welcomes volunteers from all professions, especially doctors, nurses or healthcare practitioners to be one step closer in achieving their mission of eliminating poverty while preserving the rich Andean ancient culture. Since early 2014, Thumper® has become an active sponsor to Kuychi Runa, contributing financially to the excellent work done by the organization. We commend Ms. Emily Luks and Ms. Dolly Lizarraga for years of hard work and dedication in establishing this organization for such a worthy cause. The first Into the World mission took place in April 2013, in Nepal, where 3 chiropractors in 2 weeks went to treat over 300 hundred patients. The Nepal mission trip was an amazing success for the group at Into the World! Into the world is an international organization that aims to promote, develop and support health internships and voluntary work tied to the English language teaching in Asia. This organization aims to provide not only service to help people, but to make a cultural exchange that will positively influence the surrounding social and economic environment. The Into the World group took their chiropractic skills and helped the people in need in Nepal. Their main goal is to provide students to put what they practice in their academic career through volunteer work in Asia. The more volunteer work they provide to the people in need in Asian countries, the stronger they become in impacting a part of the world in positive way. Thumper® is proud to have been selected as a contributor to this mission. We firmly believe the chiropractic profession is making a positive difference to people’s well-being and the ability to help people Stay Active. This project takes shape from the personal experience of Coralie Pellissier, who worked as volunteer in Nepal in 2011. Today, there are thousands of children between the ages of four and sixteen living on the streets of Lima, Peru. They survive in complete moral and material abandonment due to poverty and the epidemic of broken families created by economic hardship. Homeless, bereft of parental protection, and alone, these children earn a few cêntimos now and then selling candy, playing improvised musical instruments, cleaning auto windshields, and performing acrobatics-“occupations” just one step removed from begging. 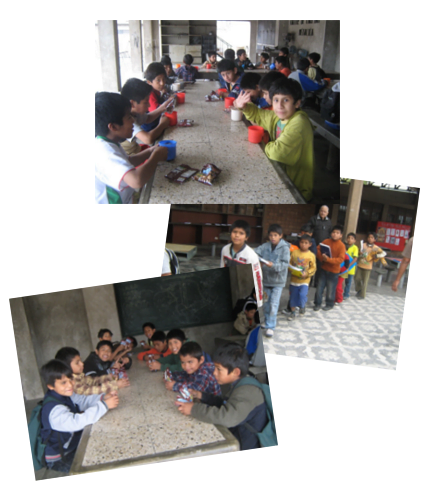 During the past 25 years, Lima’s Roncalli Institute has helped these children by providing food, education, and values through a program of strict discipline, love, and compassion. At Roncalli, children learn such basic professions as carpentry, data entry, metalworking, plumbing, and bread-making. These skills enable them to provide for themselves and – when the time comes – families of their own. Hundreds of Roncalli “alumni” have become contributing members of Lima’s economy; and an impressive number have started their own small businesses. As a result of the Roncalli program, these alumni not only provide for the material needs of their families, they also instill in their children a high level of moral values. At the same time, they pass along the nurturing and loving care modeled for them by the dedicated staff at Roncalli. As you read this, it should come as no surprise that Roncalli has to rely on others for its support! Thumper Massager Inc. has answered the call. We believe that being a good corporate citizen means more than abiding by the rules and regulations of common business practice. As a financially successful company, we are blessed to be in a privileged position where we can contribute back to society. Since 2004, Thumper Massager Inc. – in association with Canada’s Lion Bob McAllister Charitable Corporation – has been significantly involved in helping the Roncalli Institute. In fact, we are proud to serve as the main supporter of Roncalli where a total of 200 children per year receive full-day education and 2,000 children participate in weekend programs. If you would like to know more about the Roncalli Institute, please contact us.